Spring is here and Summer is near. No better time than to get out and enjoy some topwater bassin`. Creek, pond, lake or river, bass are easily found in 48 states. Get out before the sunrise or take in the sunset and have some fun. The Bronzeback Buster Kit was hand selected for our local John Day River fishery. The John Day River in central Oregon is one of our nation’s longest free flowing river systems. It also could be the best river for fly anglers to go into pursuit of the Smallmouth Bass. Since introduced to the river in 1971 the Smallmouth Bass have made this home and rivaled some of the best bass fisheries in the nation. As a fly angler your only problem is once you hook 50 fish per day with a top water popper you’ll likely be ruined for any other bass fishery. There are several float options to consider from Kimberly, Service Creek, Clarno, Cottonwood, Rock Creek and Tumwater falls ranging from easy one day floats to five day floats. Outcast Pontoon Boats and Rafts are the choice vehicles to navigate this free flowing wonder. Our Bass Buster assortment will get you hooked up. 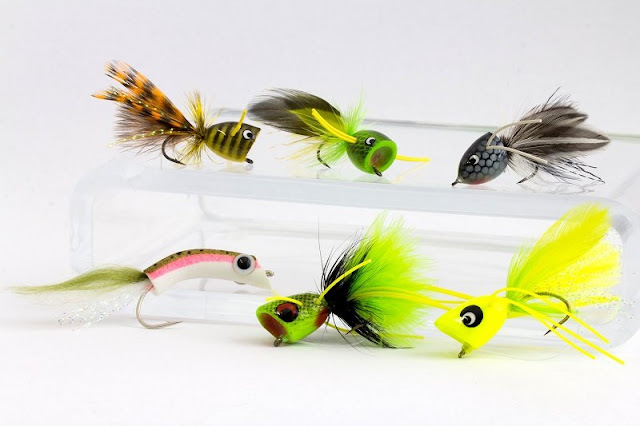 See all Gorge Fly Shop Fly Selections at "The Gorge"